Member of the American Bar Association and the Mississippi Bar. Elected member of the American Law Institute. Fellow, American Bar Foundation. Fellow, Mississippi Bar Foundation. Fellow of the Young Lawyers of the Mississippi Bar. Admitted to practice before the Supreme Court of the United States and the Fifth and Eleventh Circuits. He is included in Who’s Who in America. 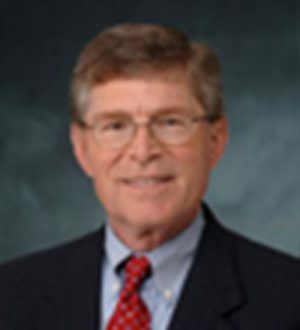 While in Law School, Professor Davis was Editor-in-Chief of the Mississippi Law Journal. Courses taught: Criminal Law, Evidence, Criminal Procedure, Children in the Legal System, and Juvenile Courts Seminar. Author of four books: Children’s Rights Under the Law (2011), Children in the Legal System, 5th ed. (2014) (with Scott, Wadlington, and Weithorn); Children’s Rights and the Law (1987) (with Schwartz) and Rights of Juveniles: The Juvenile Justice System, (2016 ed). ; author of numerous articles on juvenile, family and children’s law. Professor Davis is married to Carolyn P. Davis. They have two daughters: Samantha and Sarah, and two grandchildren, Jeremiah and MaryCarolyn. Interests: Equestrian sports (dressage), running, reading, and travel.